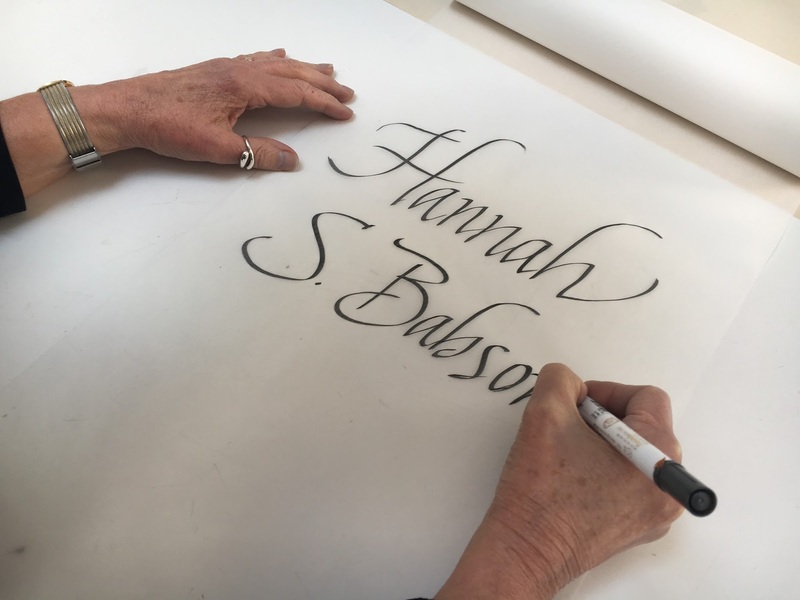 ​Reading the Past, part of the Cape Ann Museum's Insights Program, is a calligraphic installation by Susan Kapuscinski Gaylord of excerpts from the 1847–48 journal of 13-year-old Gloucester resident Hannah S. Babson. 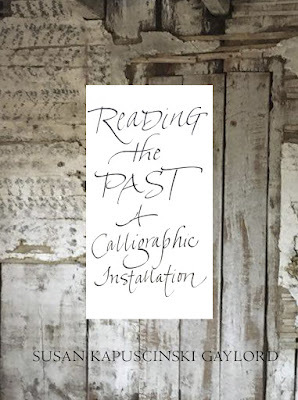 The largely unaltered and unfurnished First Period house provides an evocative backdrop for the contemporary lettering on long tracing paper banners. The journal writings, found in the Cape Ann Museum Archives, bring the rhythms of everyday life alive through Hannah's observations of school and home, family and friends. The one-day installation will be on view on Saturday, June 3, from 11 AM to 3 PM. The artist will be in attendance. If you're in the area, I hope you'll join me. It's a one day only event which means a lot of work for four hours. I'll share photos after the event for those who can't. I will mention it is the same day as the Cape Ann Artisans Studio Tour should you want to make a day of it.